Slavery in Medieval and Early Modern Iberia (The Middle Ages Series) by William D. Phillips Jr. 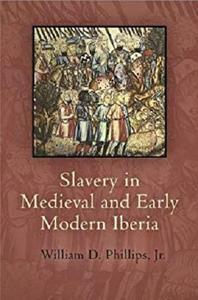 The enslaved population of medieval Iberia composed only a small percentage of the general populace at any given point, and slave labor was not essential to the regional economy during the period. Yet slaves were present in Iberia from the beginning of recorded history until the early modern era, and the regulations and norms for slavery and servitude shifted as time passed and kingdoms rose and fell. The Romans brought their imperially sanctioned forms of slavery to the Iberian peninsula, and these were adapted by successive Christian kingdoms during the Middle Ages. The Muslim conquest of Iberia introduced new ideas about slavery and effected an increase in slave trade. During the later Middle Ages and the early modern period, slave owners in Christian Spain and Portugal maintained slaves at home, frequently captives taken in wars and sea raids, and exported their slave systems to colonies across the Atlantic. 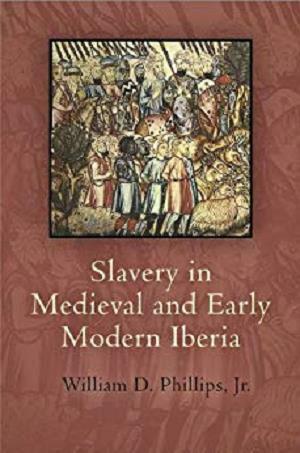 Slavery in Medieval and Early Modern Iberia provides a magisterial survey of the many forms of bound labor in Iberia from ancient times to the decline of slavery in the eighteenth century. William D. Phillips, Jr., examines the pecuniary and legal terms of slavery from purchase to manumission. He pays particular attention to the conditions of life for the enslaved, which, in a religiously diverse society, differed greatly for Muslims and Christians as well as for men and women. This sweeping narrative will become the definitive account of slavery in a place and period that deeply influenced the forms of forced servitude that shaped the New World.